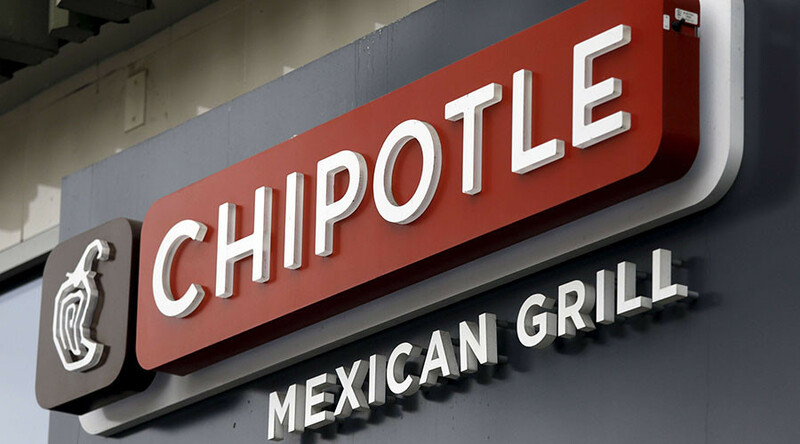 The US government has joined state and local officials to investigate a second outbreak of food poisoning linked to Chipotle Mexican Grill restaurants. Nearly 500 people have become ill from eating Chipotle in different outbreaks since July. The Centers for Disease Control and Prevention said Monday that five people from three states – Kansas (1), North Dakota (1) and Oklahoma (3) – were reported ill with the new variant of E. coli. The people in the Kansas and North Dakota cases ate at the same restaurant in Kansas. All three Oklahoma cases ate at the same Chipotle restaurant in the state. The infections started on dates ranging from November 18 to November 26. All five reported eating at the restaurants in the week before the illness started. Now, both the CDC and the Food and Drug Administration are involved in an investigation over the outbreaks. “Because it is not known if these infections are related to the larger, previously reported outbreak of STEC 026 infections [E.coli], these illnesses are not being included in the case count for that outbreak. This investigation in ongoing,” said the CDC in a statement. The Food and Drug Administration said the germ causes severe diarrhea, often bloody, and abdominal cramps two to eight days after a person eats contaminated food. E.coli can also cause more severe illness, which can lead to kidney failure. There have been no reports of death in the outbreak. The first wave of food poisoning at Chipotle infected 53 people from nine states. There have been 20 hospitalizations, but there were no reports of kidney illness and no deaths. The majority of cases were from Oregon and Washington during October 2015. It has been suggested that a common meal item or ingredient served at the restaurants in several states is a likely source of the both outbreaks. In the midst of the initial E.coli outbreak, dozens of people were sickened by norovirus, which causes gastrointestinal illness, stemming from a Boston Chipotle restaurant. About 153 people were sickened, including 141 students from Boston College. Multiple health and safety violations were discovered at the restaurant by officials, an employee that was sick and meat that was being stored at the wrong temperatures. Bloomberg Businessweek reported that almost 500 people around the country have become sick from eating at Chipotle since July, citing to public health officials. In August, 234 customers and employees contracted norovirus at Chipotle in Simi Valley, California. Salmonella-tainted tomatoes at 22 outlets in Minnesota sickened 64 people in August and September, and nine were hospitalized. The CDC estimates that 48 million Americans get sick from contaminated food every year. In response, Chipotle unveiled a new food safety plan this month in partnership with IEH Laboratories and Consulting Group in Seattle, including repeated testing of freshly prepared ingredients, improved employee training, and extra precautions during preparation such as blanching fresh greens in boiling water for a few seconds to kill bacteria. The outbreak is troubling for the chain with 1,900 locations because it branded itself as the “heathy” alternative to other fast food rivals because of its fresh ingredients and naturally raised meat. A Reuters/Ipsos poll on Tuesday found that almost 25 percent of Americans are aware of the outbreaks and are eating at Chipotle less often.